Quetta: Women rights defender and political activist from Balochistan, Shazia Ahmed Langove has been selected as cabinet member of South Asian Women Alliance for Pakistan. South Asian Women Alliance for Pakistan works for Women rights. It has representatives from all across Asia. Each South Asian Association for Regional Cooperation (SAARC) country has selected 11 members. A selection process from all Asian countries will be held to form SARC based cabinet. 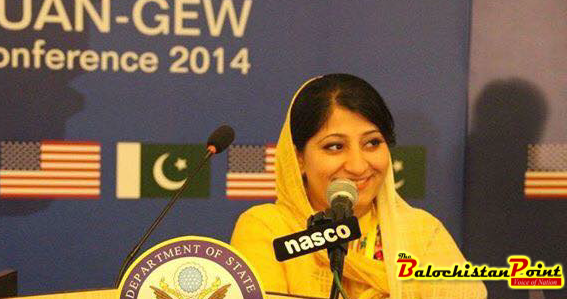 Shazia Ahmed Langove is also General Secretary of Pak-US Alumni Network of Quetta chapter.